This versatile barbecue loves your life! Experience the joy of fantastic food, freshly cooked to perfection wherever and whenever the mood takes you. The best portable gas barbecue available made by Weber and includes a cast iron grill to give that char grilled flavour to your food. 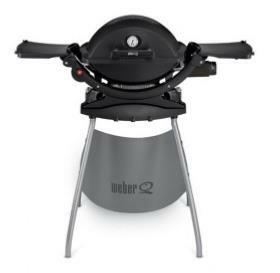 The Weber Q1200 is available with or without a stand so is excellent for picnics and patio BBQ's. 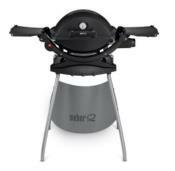 Cook for up to 6 people at a time in the garden or on the beach. This versatile barbecue loves your life! Experience the joy of fantastic food, freshly cooked to perfection wherever and whenever the mood takes you. Cast iron cooking grate is porcelain-enamelled and conducts heat evenly across the entire surface.